I know little about fungi, but I can still see that there are plenty around at present. Perhaps they’ve been enjoying the mild start to winter. The following caught my eye during a recent Manawatu Botanical Society field-trip to the Branch Road track in the Pohangina Valley north of Palmerston North. Geastrum – earthstar. I’ve never seen anything like this before, but very striking. © Leon Perrie. Favolaschia calocera – bolete (= fleshy fungus with pores). This distinctive species is not native to New Zealand, but it is now amazingly widespread (including my garden). It turns up in even little-modified forests, and is evidently quite invasive, but I don’t know if it has negative effects on indigenous biodiversity. Apparently there are native species. One looks similar, but is white, and occurs on decaying tree-fern fronds. I’ve never seen it. © Leon Perrie. Inonotus (nothofagi?) – pore fungus, on a fallen log. © Leon Perrie. For fungal novices like me, Landcare Research has a good online, picture-based identification key, which is how I identified the Geastrum and Inonotus above. Give it a go next time you happen upon an interesting fungus. 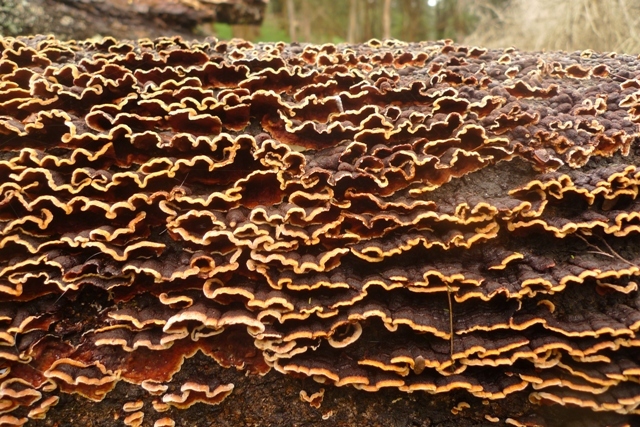 Landcare Research’s identification key for fungi. Te Papa has no* specimens of fungi in its collections. So what is in Te Papa’s botany collection? 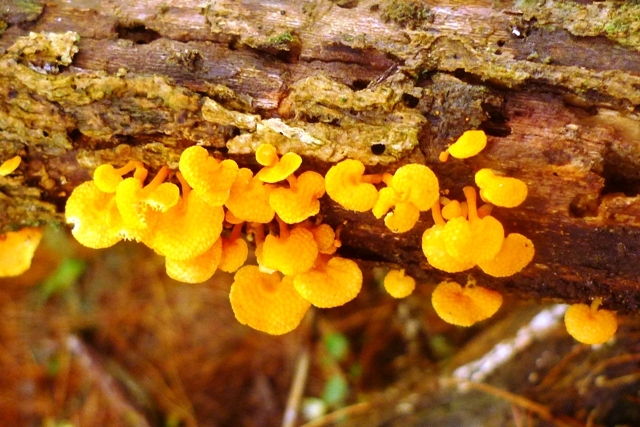 New Zealand’s main fungal herbarium is at Landcare Research in Auckland. Scion also maintains a fungal collection. actually, there is at least one – a vegetable caterpillar which is where a fungus parasitises a caterpillar. I’ll post a blog and picture of it at some stage. And, I’m not counting the fungal components of lichens, of which Te Papa has c. 7500 specimens, or ‘contaminants’ on plant (or animal) specimens. Thanks Clive – what’s the distinguishing feature(s)? 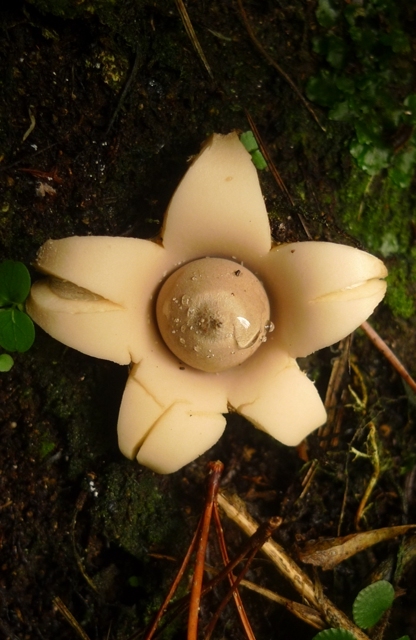 Your earthstar is Geastrum saccatum one of the most common species of earthstars.